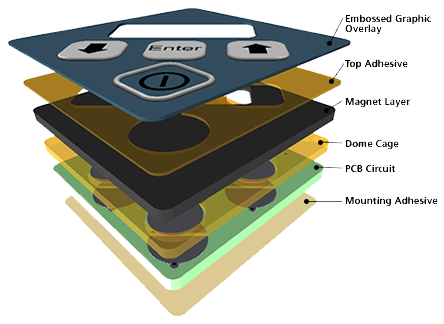 Membrane Switches, Capacitive Sensors, Duraswitch, Printed Antennas, Thermistors, Proximity Sensors, Backlighting Technologies, Graphic Overlays, Touchscreen Protectors, Waterproof Keyboards, Functional Smart & Stretchable Printed Electronics. 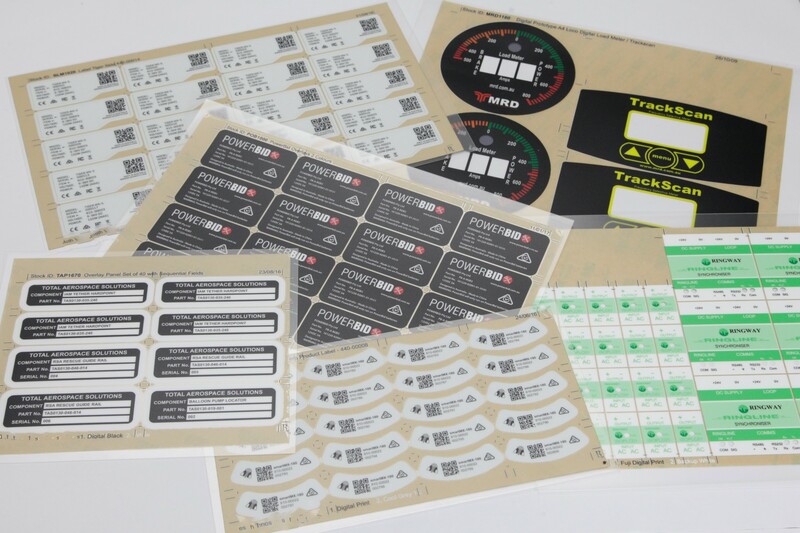 "Where ideas come to life... Reid Industrial Graphic Products"
Through the investment in the latest digital printing technology, Reid Industrial Graphic Products is able to provide low volume rapid prototypes of Membrane Keypads, Graphic Overlays and Labels. Rapid prototypes can be produced in as little as 3 - 5 business days (design dependant). Our prototyping service also includes short runs and variable data options. Reid Industrial rapid prototypes are ideal for product modelling, product launches, photo-shoots, exhibitions and client meetings. Our prototyping service also includes short runs printed onto rugged MacDermid Autotype Polyester and includes labels with variable data. Reid Industrial is a specialist leading Australian manufacturer of Membrane Switches and Overlay panels. 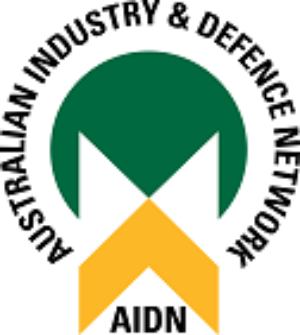 Reid Industrial is a specialist leading Australian manufacturer of Membrane Switches and Overlay panels. 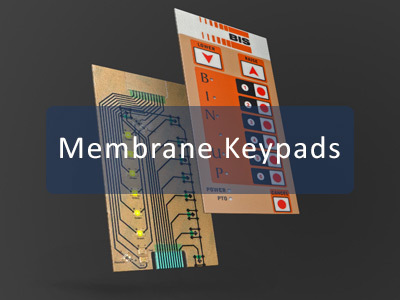 This product, also known as Membrane Keypads are momentary switches with a user interface to control equipment and machines, and are generally a cost effective alternative for mechanical switches. 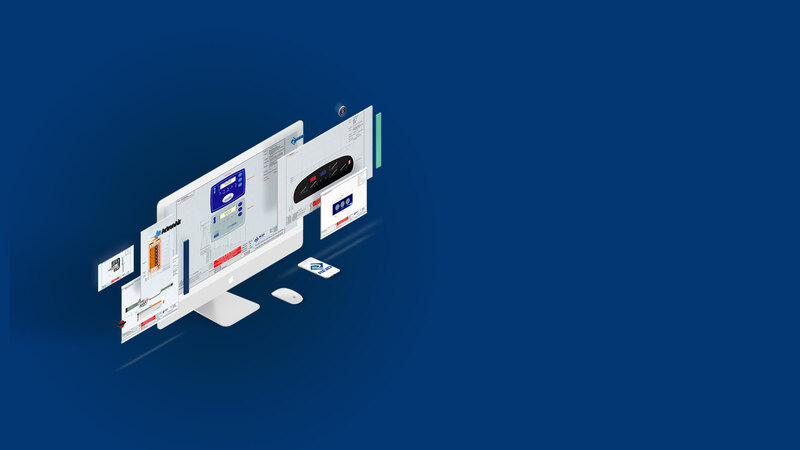 The top layer is typically the graphical interface, also known as a graphic overlay, which identifies the functions being controlled using icons or text. 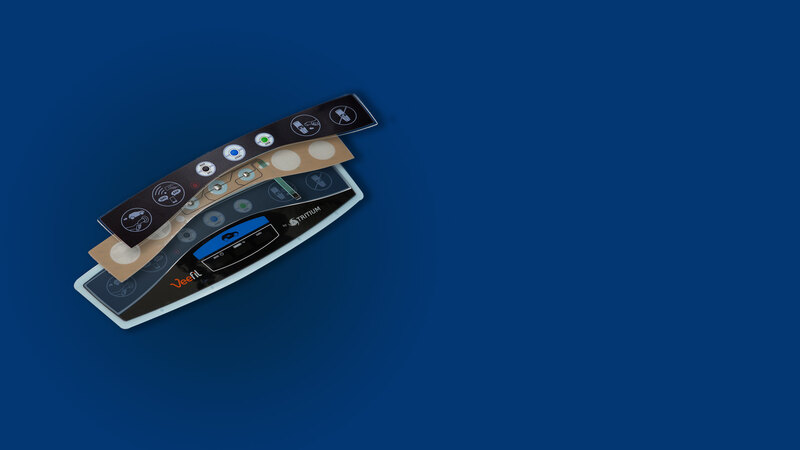 To improve the user experience, a membrane switch can be designed to provide haptic or visual feedback. A great example of tactile feel is through the use of tactile metal domes or poly-dome construction. Our thermal embossing process allows for precise embossing of various button designs and when this type of tactile feedback is used, a user will press a key or button and feel a ‘snap’ action as the dome is compressed. A selection of metal tactile domes with varying actuation forces are available, our US supplier Snaptron specifies a life span of 5 million actuations. Further enhancements are achievable by utilising Duraswitch Push Gate Technology, thin designs that provide excellent solutions for next-generation products. Reid Industrial is highly regarded within the Electronics Industry for design and supply of Membrane Switches and Flexible Printed Electronics for use in the most harshest of environments. 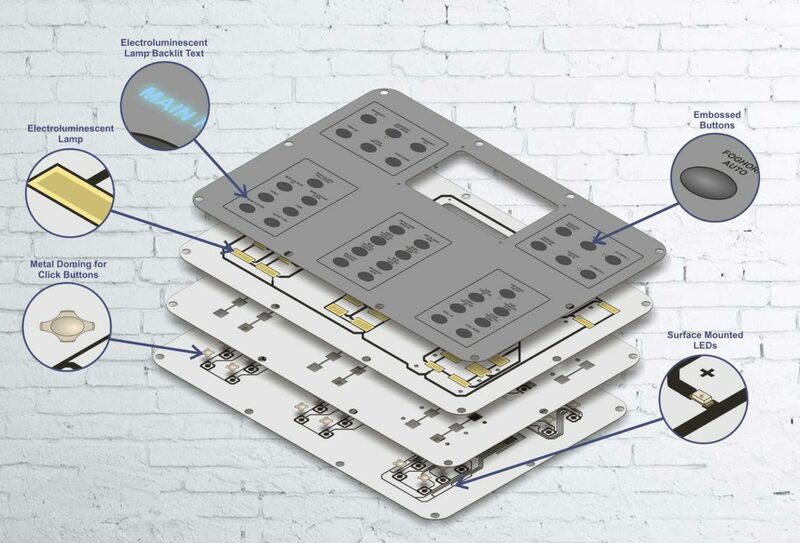 Our robust switch designs have been independently laboratory tested and also tested by our customers in simulated extreme environmental testing. Reid Industrial's Membrane Switches are used in industries such as Commercial Marine Autopilots, Super Yachts, Gaming Consoles, Pool Filtration, Electric Vehicle Filling Stations, Electricity Monitoring Devices, Air Rescue Helicopters, Aerospace, Agriculture and many more applications. As mentioned in our Backlighting Technologies section, Reid Industrial has the technical and process capability to integrate surface mount components directly into the membrane switch design. 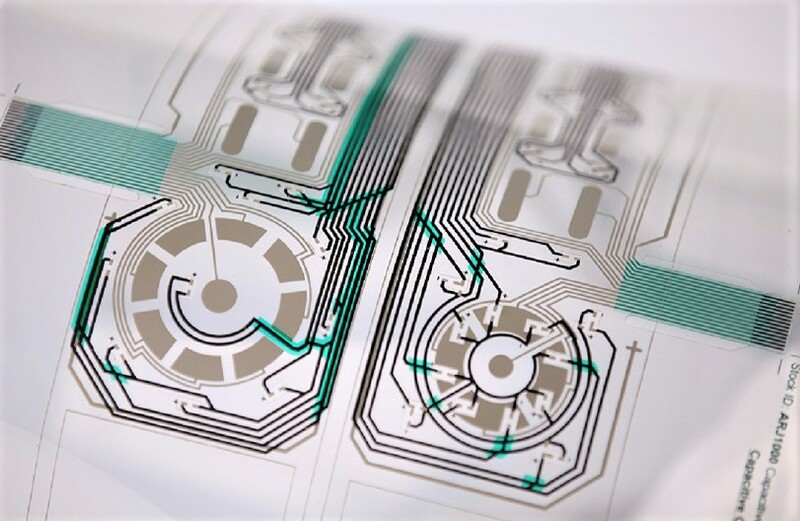 Our stringent proprietary printing and pick and place process allows for reliable functionality of the SMT and SMD components onto the flexible substrates. We understand your needs when it comes to Flexible Printed Electronics, so why not let us help you develop your next Capacitive Switch Sensor Project. Capacitive Switches now offer many design options, with sliders and rotors available, all easily integrated with backlighting options into a single plug and play device. When Capacitive Switches are combined with the latest controllers, they are capable of a wide variety of functions such as water tolerance detection, noise filtering, auto tuning, re calibration, low power and proximity functionality. They are sensitive through panels up to 10mm thick, even through gloved hands, making them excellent for use in industrial environments. 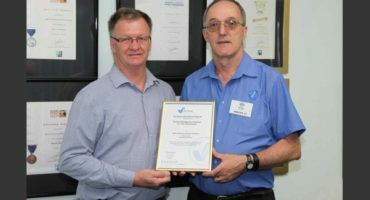 Australia's largest Air Conditioner manufacturer, Actron Air, has successfully completed a project to rebrand and retrofit existing wall controllers, utilising our Flexible Capacitive Switch Technology. 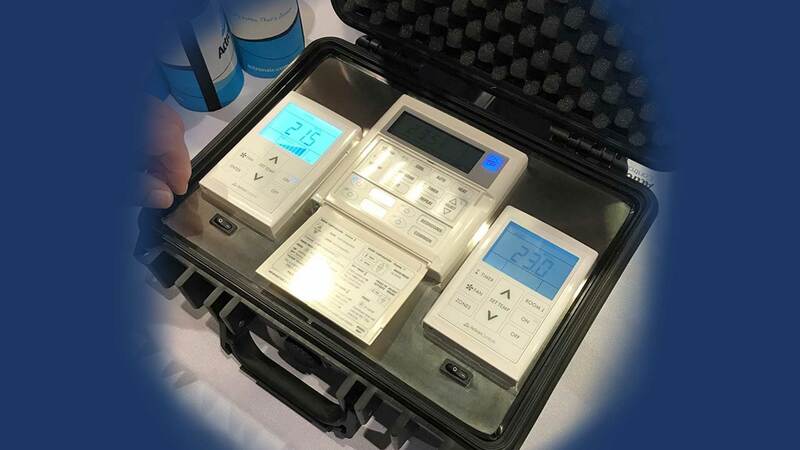 * Actron Air B75H Controller, installed at the Novotel Sydney Olympic Park, Homebush and other venues. * Easy one step upgrade to existing established wall controllers. * Hardcoated scatch resistant Gloss Acrylic incorporating SMD Led's. * Utilising Optically Clear Acrylic for crystal clear LCD display. 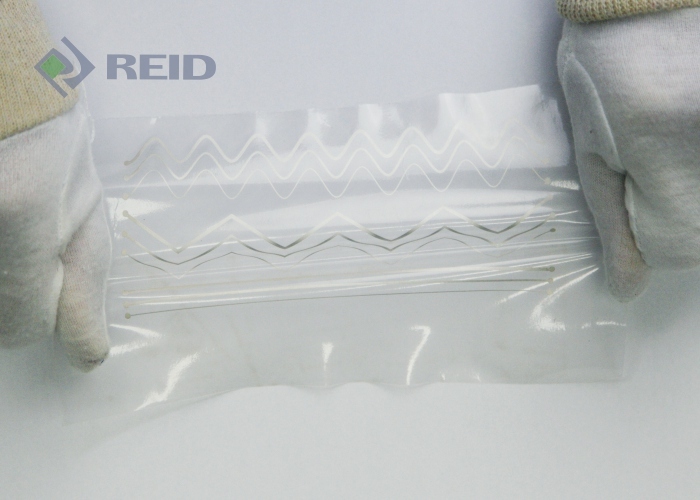 Reid Industrial is highly regarded within the Electronics Industry for design and supply of Flexible Printed Electronics for use in the most harshest of environments. Our robust switch designs have been independently laboratory tested and also tested by our customers in simulated extreme environmental testing. The Duraswitch PushGate® is a unique patented push button design that combines the advantages of discrete mechanical and flat panel membrane switches with a host of other benefits that make it ideal for next-generation products. 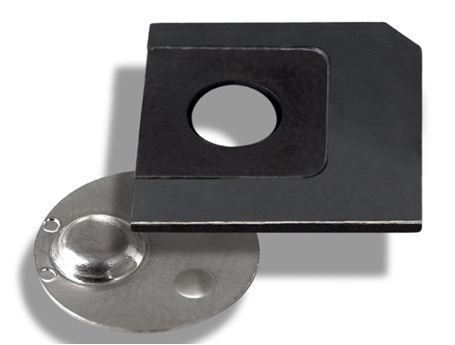 The thin profile PushGate® push buttons are cost effective and simple in design. 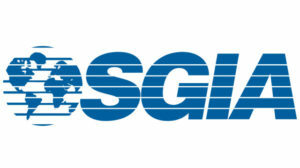 Nothing in the marketplace today comes close to this technology for reliability and durability. Its crisp, consistent tactile feel does not degrade over time differentiating it substantially from conventional mechanical and membrane switches. 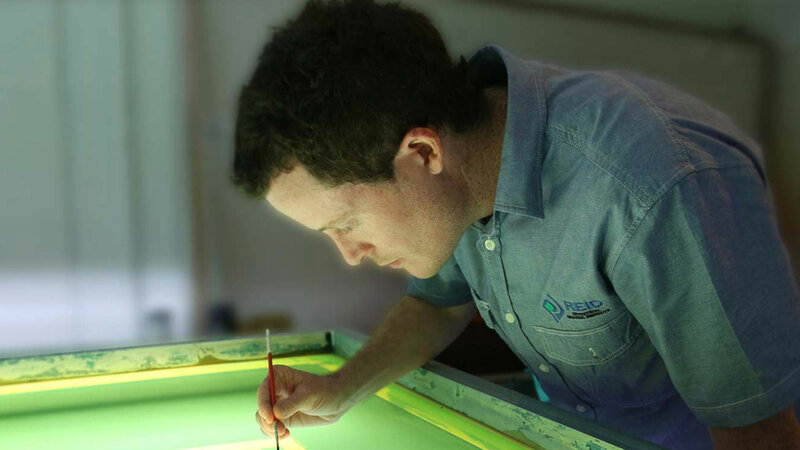 Reid Industrial is a specialist leading Australian manufacturer of Membrane Keypads and Graphic Overlays. Reid Industrial Graphic Products is a leading specialist manufacturer of Graphic Overlays and Membrane Keypads, also known as Overlay Panels or Fascia Panels. 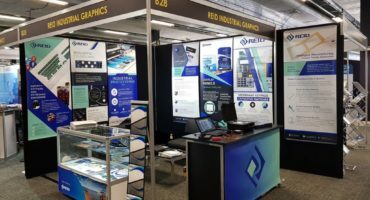 Whether you require a basic design, imaginative patterns, visually enhancing bright metallic finishes or coatings to give scratch resistance or antimicrobial protection, here at Reid Industrial we have the technology and know how to manufacture your Graphic Overlay Panel to the highest tolerances to Quality Standard AS/NZ ISO 9001:2015. RFI Shielding for clear or tinted display windows or the entire control panel, can also be incorporated into the design. Generally we use a range of Polycarbonate and Polyester materials in gloss, semi-gloss, matt and textured finishes. Other materials such as PETG, Acrylic and high specification materials can also be procured to your requirements. We are an authorised 3M converter of 3M Adhesive Transfer Tapes, and the largest user of MacDermid Autotype hardcoated films in the Southern Hemisphere. 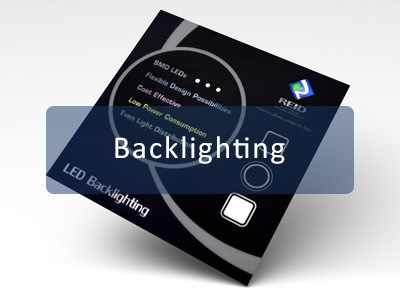 We are an Australian leading specialist manufacturer of backlighting technologies and have a proprietary process and technical capability to integrate several backlighting technologies successfully into devices such as membrane switches and capacitive sensors. 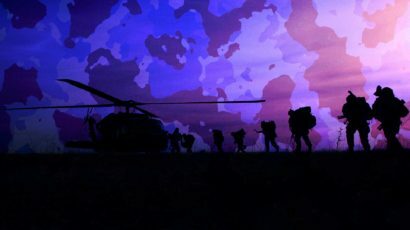 We can also incorporate NVIS to enable night vision capabilities if required. Electronic devices featuring brightly glowing keypads have achieved wide acceptance in the marketplace. This is primarily because of carefully engineered flexible electroluminescent (EL) lamps. These selectively backlit keypads reveal numbers, letters, and other characters to create a fresh and uniform look. Light emitting diodes (LED’s) provide uneven light across a keypad, resulting in some characters being too bright while others were barely visible. New-product designers had been demanding thinner, whiter, and more-uniform illumination than other technology is able to provide. Most electronic devices until recently worked only with rigid substrates. Today, technology for materials, component design and manufacturing methods allow us to produce low power electronic circuitry that conforms to irregular shapes and surfaces, even those that are incorporated into devices on the human body. This new approach to printed electronics is called many names, organic electronics, flexible electronics, conductive plastics, and many others. This flexibility allows us to significantly improve the performance in applications such as medical devices, to wearable technology and many other industries. Reid Industrial's Touchscreen Protectors are designed to safeguard your touchscreen interface from scratches and wear and tear. 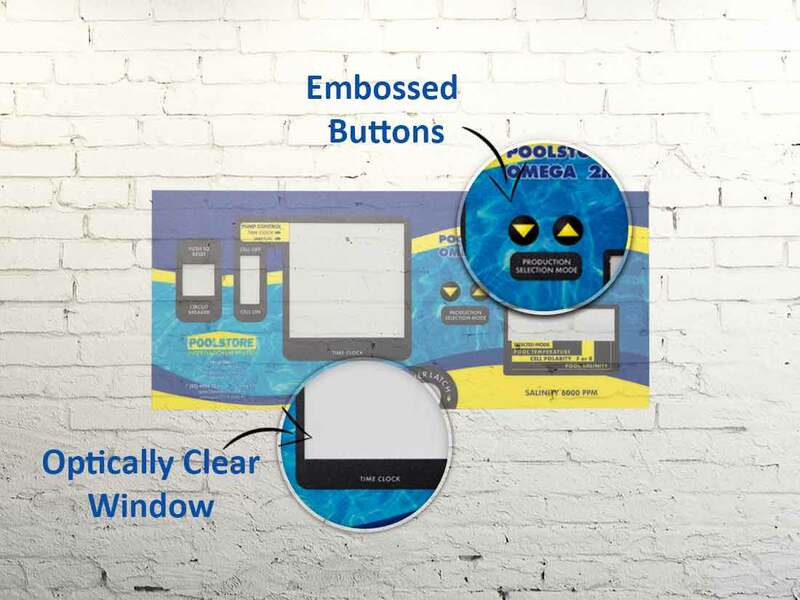 Made from durable anti-glare polyester, our touchscreen protectors can be fitted to any standard touchscreen terminal. The easy peel adhesive allows for hassle free replacement on the shop floor, which works exceptionally well when down time of the terminal is not permitted. You can purchase in bulk quantities for multiple terminals, or just have a spare on hand for when the unthinkable might occur. It’s always better, and usually cheaper, to have a damaged touchscreen protector, rather than a damaged touchscreen terminal. 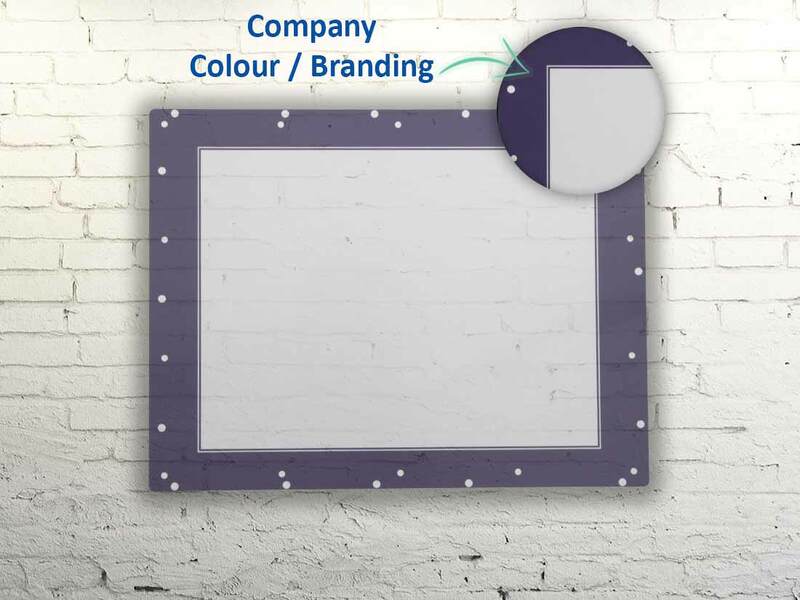 Customised branding is a must for your touchscreen protector, ask us about design possibilities which can include coloured borders and corporate logo if required. As with our Graphic Overlays, printing is on the reverse side of the touchscreen protector, so the ink can’t be scratched off. Each touchscreen protector is specially designed to your exact specifications and can be embellished with tactile feedback embossing. 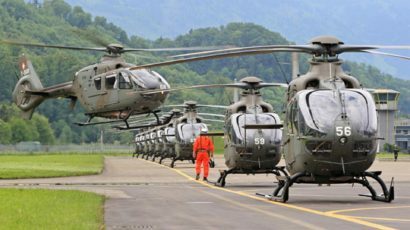 Industries we serve include all factory floor situations, medical equipment, computer peripherals, meat processing and the military and aerospace industries. Our touchscreen protectors are durable. The Reid Industrial Membrane QWERTY Keyboard can be designed to your graphic requirements, and by using our range of 3M adhesives becomes a completely sealed solution able to be used in the harshest environments and meet your IP expectations. 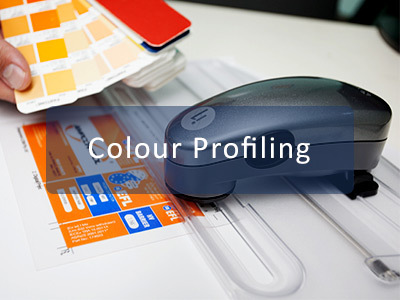 Utilising our extensive range of MacDermid Autotype hard coated polyester films. These films allow unlimited textures including Autotex AM (Antimicrobial) for those environments that require a germicide or Autotex Soft Touch for a silky smooth feel to your keyboard. The Reid Industrial USB Keyboard Encoders are a simple plug and play device linked via a USB cable directly to your Windows PC environment. The Reid Industrial USB Keyboard Encoder makes it easy to connect custom membrane QWERTY keypads to the USB keyboard port of a PC, by converting contact closures to Windows compatible PC USB keyboard codes. 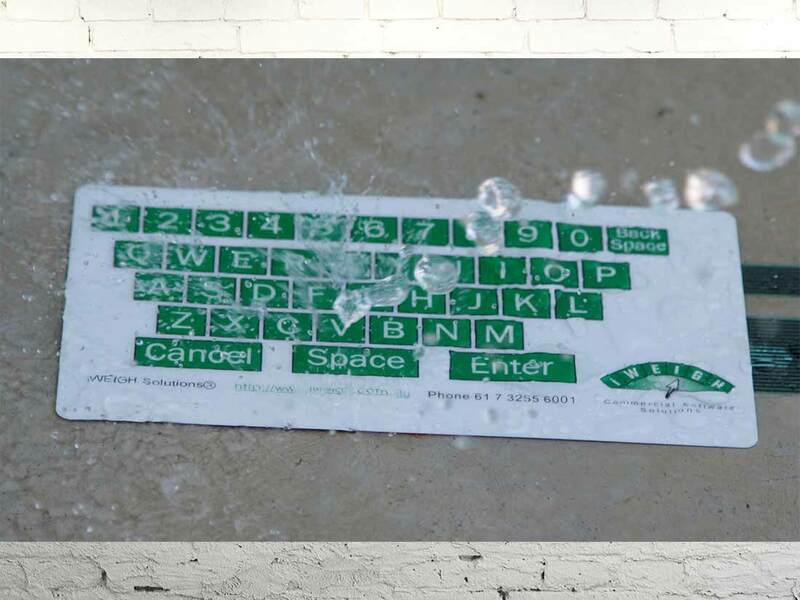 The Reid Industrial membrane QWERTY keyboard can be designed to your graphic requirements, and by using our range of 3M adhesives becomes a completely sealed solution able to be used in the harshest environments and meet your IP expectations. Utilising our extensive range of MacDermid Autotype hard coated polyester films allows for unlimited textures. Including Autotex AM (Antimicrobial) for those environments that require a germicide or Autotex Soft Touch for a silky smooth feel to your keyboard. At Reid Industrial we firmly believe that printed antennas will be a critical aspect of achieving a wireless network system for Internet of Things applications. Printing various micro-strip Antennas with required level of customisation, durability, conform-ability is our core expertise. These kinds of Antennas posses a wide range of applications for industries like Commercial Vehicles, Defence, Aerospace and Mobile Devices based on long and short range communication. 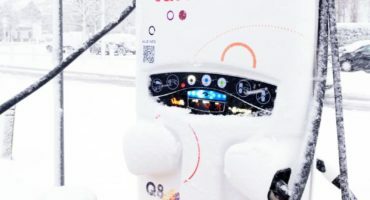 With the advent of Internet of Things, every wireless network system will need a well taught combination of relevant printed sensor and printed antennas for effective machine to machine communications. 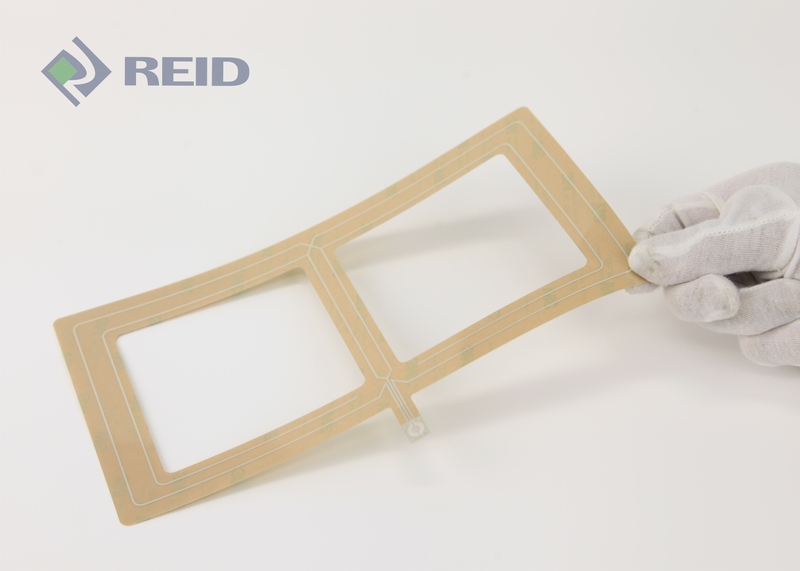 At Reid Industrial we have expertise in customised printing of different types of sensors and antennas on flexible substrates. The design and requirements of Antennas from our customers/collaborator will be effectively implemented in close co-ordination with our Engineering and Production Teams. 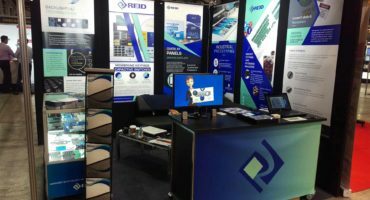 In the rapidly moving and consistently changing Flexible Printed Electronics & Sensors arena, Reid has recognised a need to be nimble, organised, and progressive in order to succeed in assisting our customers. Solutions must be intelligently engineered and reliably built. We are proud of our ability to combine elements of engineered materials with innovative laminating, die cutting, wire attachment, and custom assembly. For decades, Reid Industrial has created quality Flexible Electronics parts for the electronics, automotive, agriculture, medical, and communication industries using our ISO certified facility and Lean Manufacturing principles. We believe that our strength lies in the ability to listen to our customer’s needs and effectively convert them into engineered solutions. 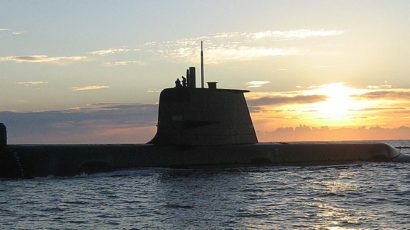 Typically situated as a Tier 1 or Tier 2 supplier, we manufacture graphic interface products as part of Australia's Defence Industry Capability. We are proud to have long standing affiliations with a number of major industry suppliers, research institutes and industry associations. It’s snow problem at all! 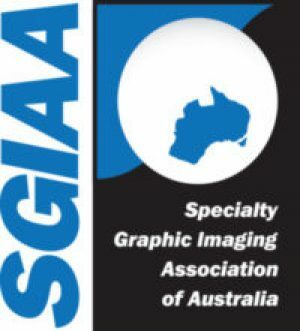 © 2019 Reid Industrial Graphic Products Pty Ltd. all rights reserved.